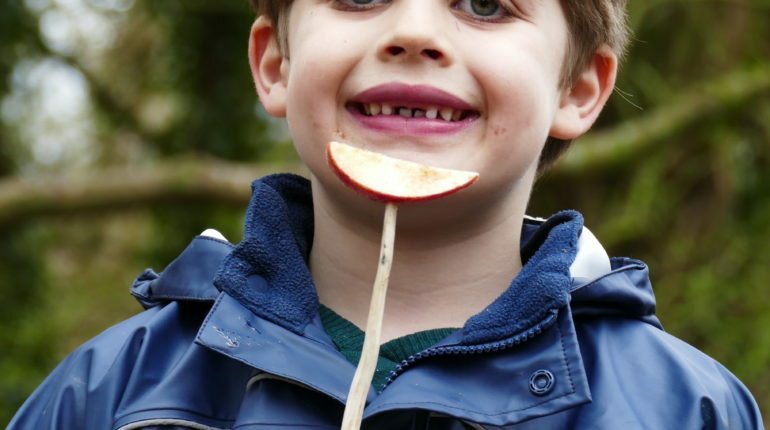 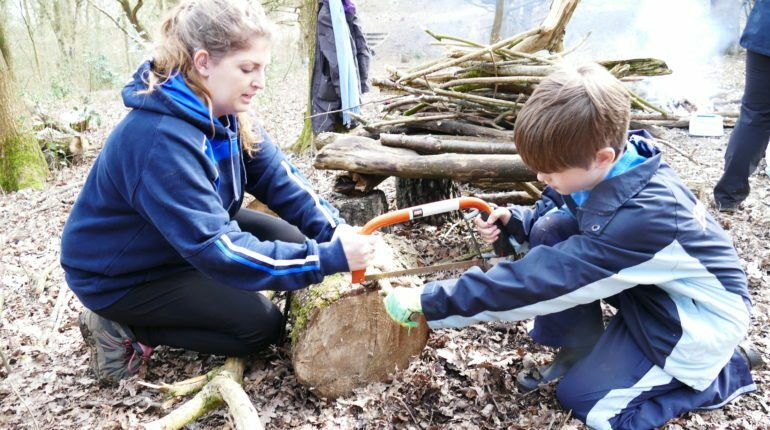 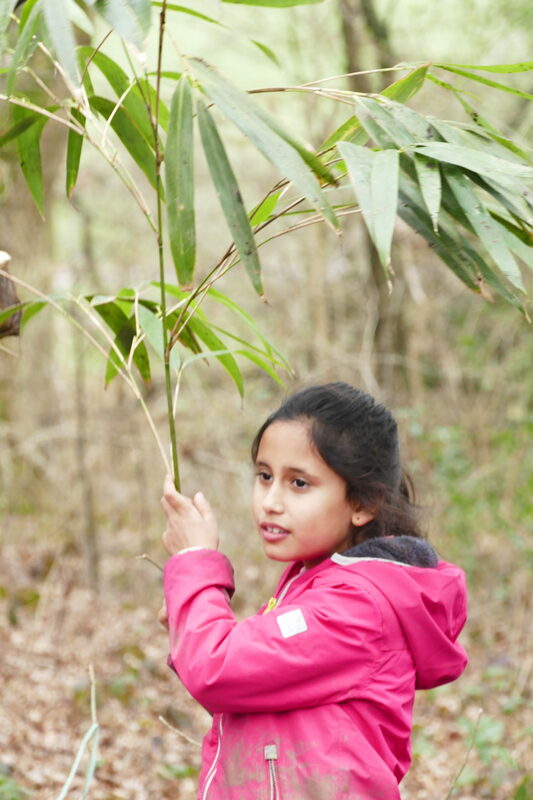 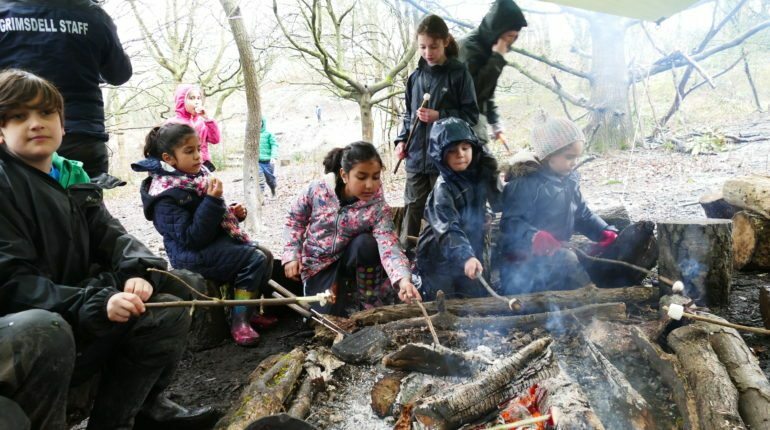 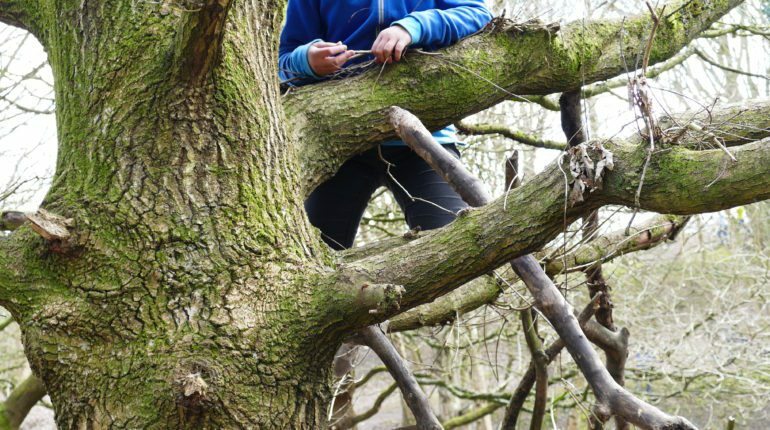 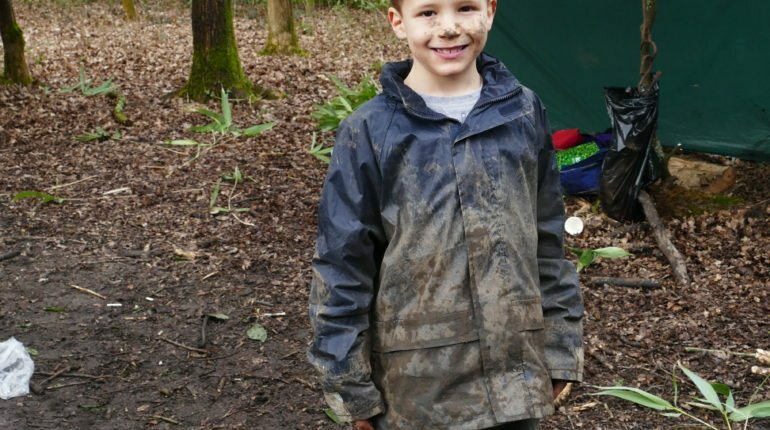 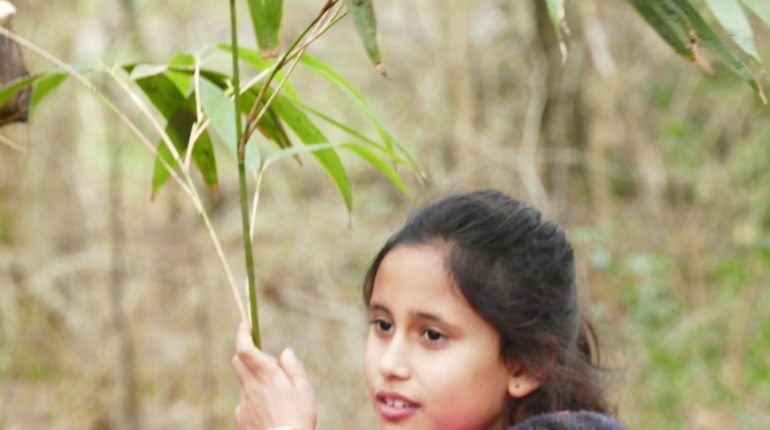 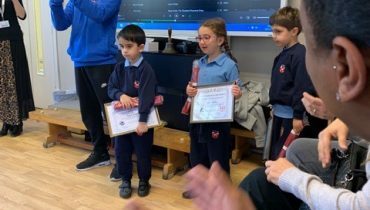 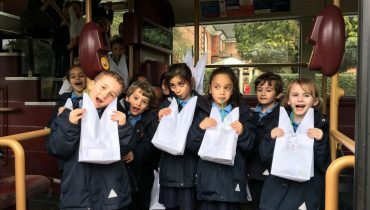 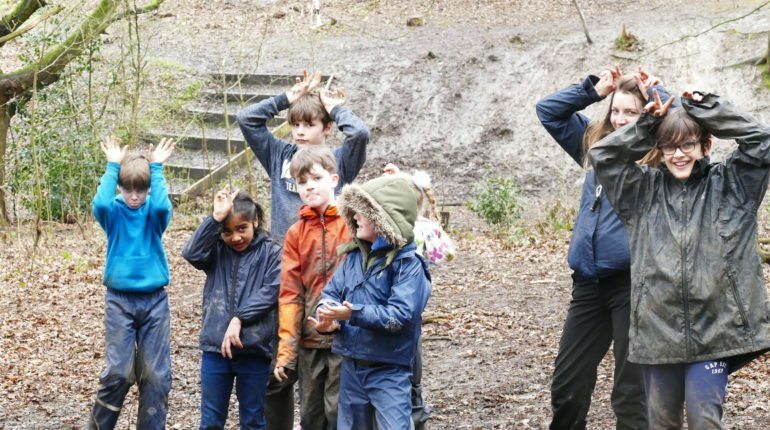 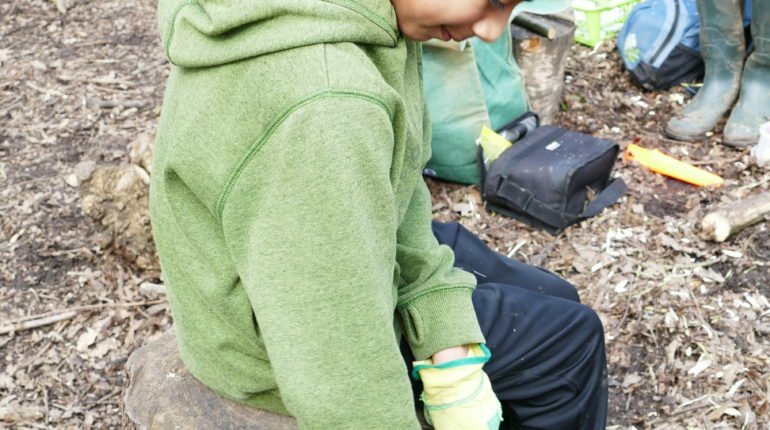 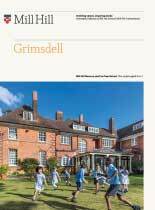 In the first week of the Easter holidays, Belmont and Grimsdell staff ran a Forest School Camp for three days with thirty children attending each day. 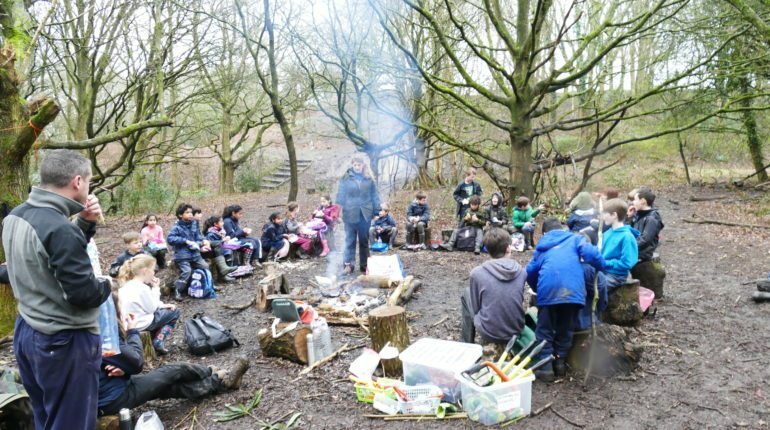 This was Mr. Dobson’s last official Forest School Camp with us and I want to take this opportunity to thank him for inspiring us as a Foundation to spend time in the woods! 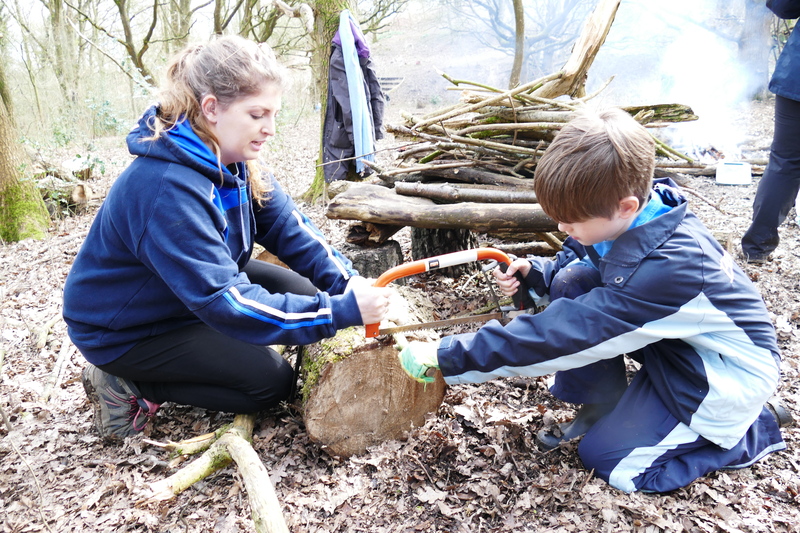 We had a wonderful, fun filled few days which included using a range of different tools like sheath knives (for Year 4 and over) and bow saws. 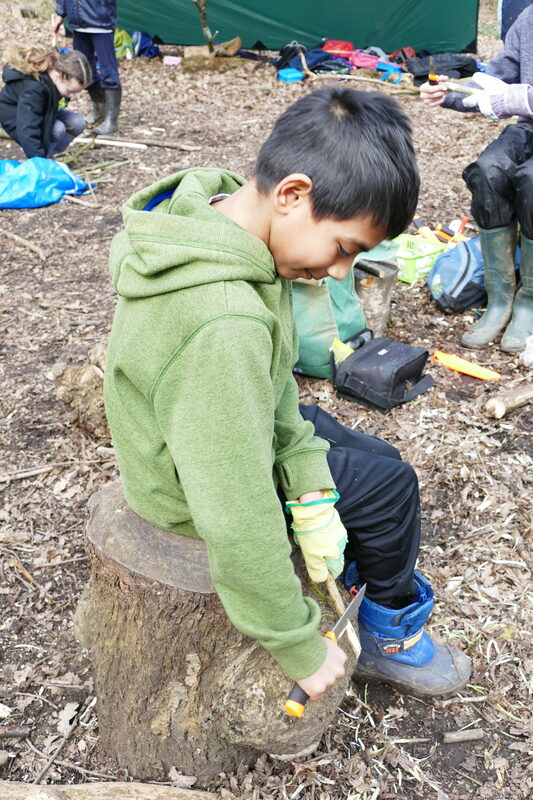 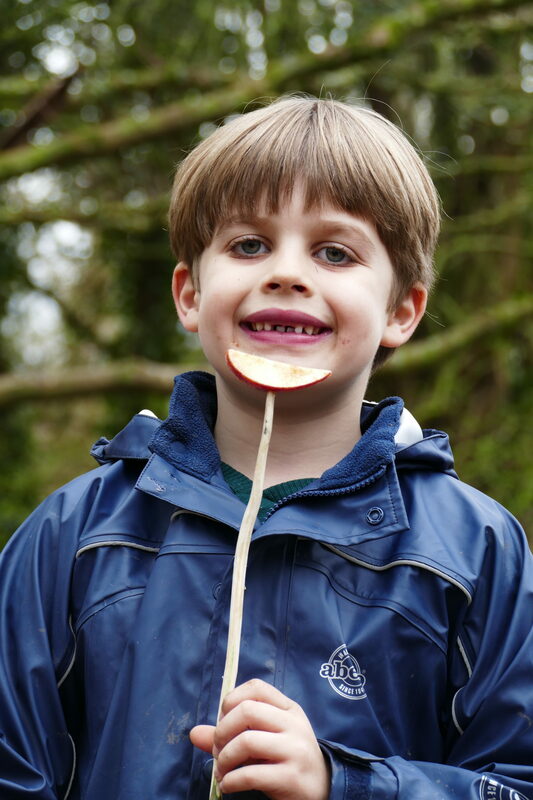 The children whittled sycamore so they could toast their marshmallows and apples covered in sugar and cinnamon. 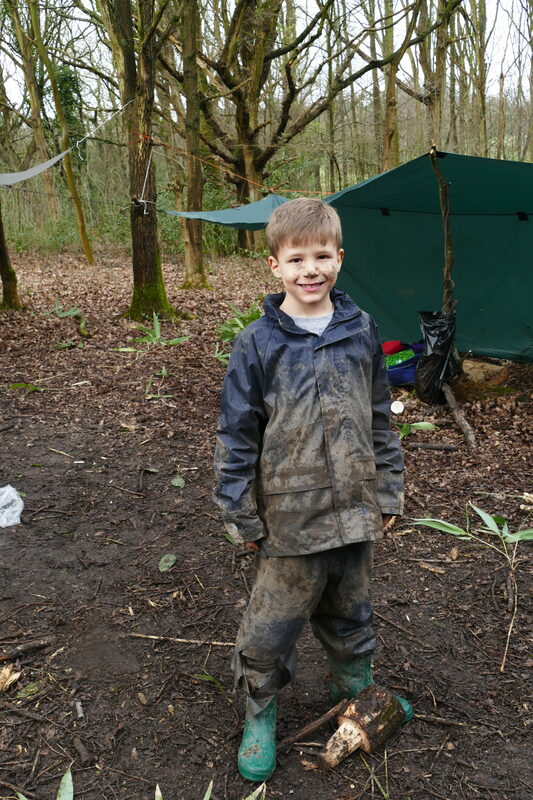 They had amazing fun slidding down muddy banks when we had particularly wet weather on the last day! 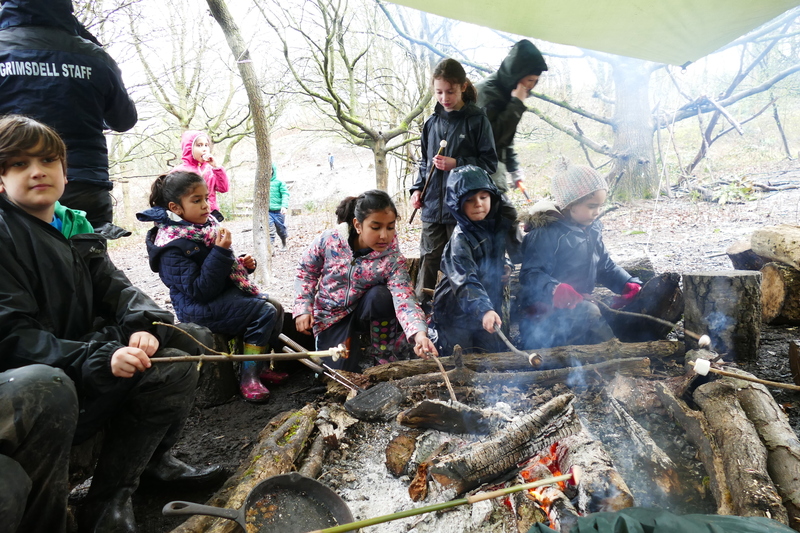 We sang songs around the camp fire and listened to the rain as it pitter pattered on the canvas above our heads. 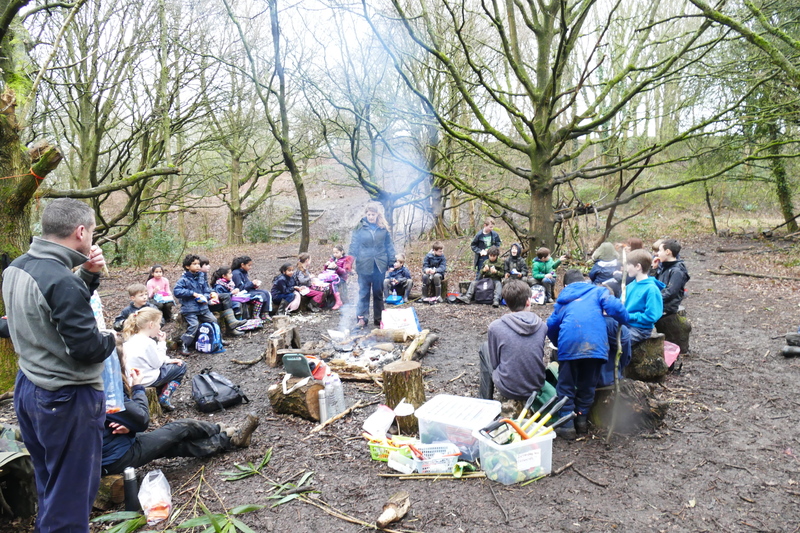 We made popcorn and Forest School pizza over the fire – this was a huge hit with everyone as usual! 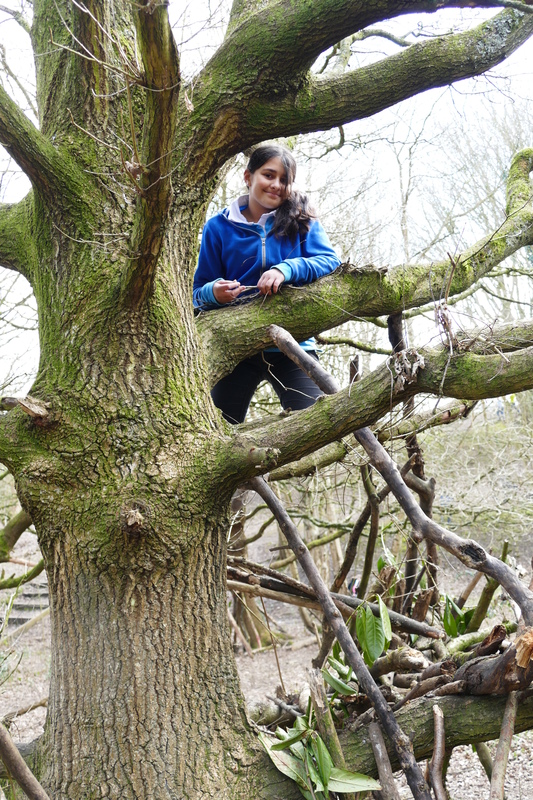 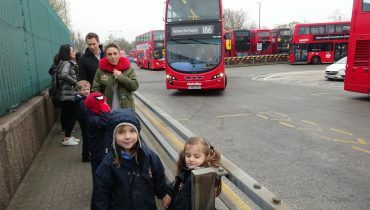 The children made dens, they ran, they climbed, they explored, they laughed and they had fantastic fun. 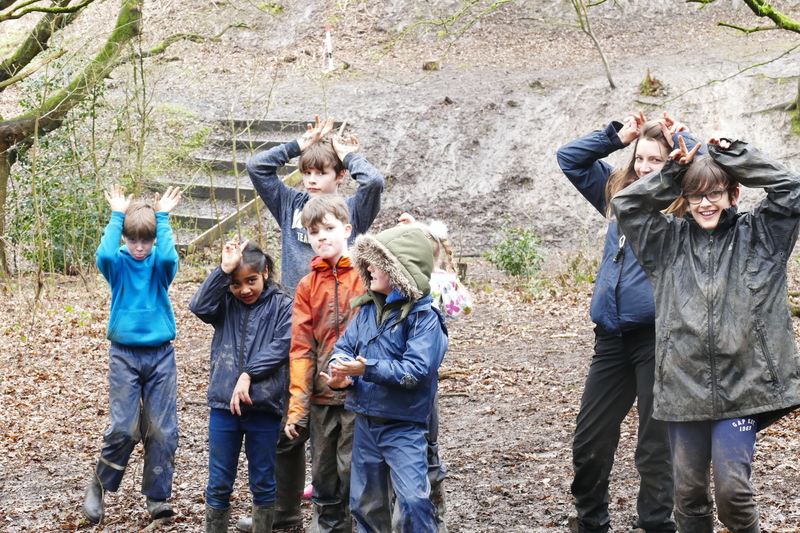 Thank you all for a superb few days!